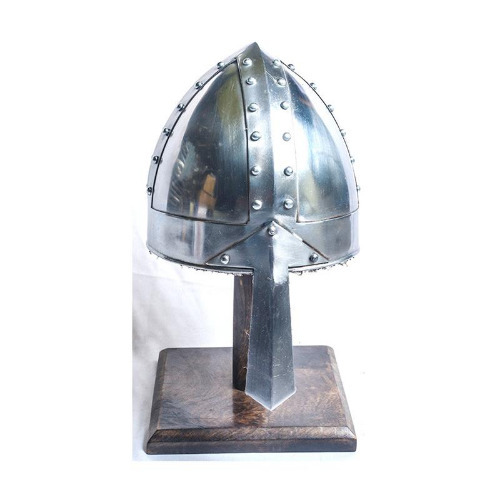 Solidly constructed from hand-forged 18 gauge low carbon mild steel, our Medieval Norman Nasal Helmet is as tough and battle-ready as the Frankish warriors who conquered England and Sicily. With an integral nose guard protecting the front of the face. The classic design allows for easy breathing and visibility making it ideal for re-enactors as well as for display purposes. Includes Wooden Display Stand.